BATHINDA, Punjab—Following the gathering at Sarbat Khalsa 2016, Bhai Mohkam Singh has questioned the resolutions passed at the event. “No one but the Jathedars can pass resolutions at Sarbat Khalsa. How can we accept resolutions announced by someone random? Person announcing Gurmatte (resolutions) must have been elected by the Panth or have some accomplishments,” Bhai Mohkam Singh said while indirectly referring to Bhai Jaskaran Singh KahanSingh wala. “These gurmatte were not approved by Singh Sahibs at the meetings before Sarbat Khalsa. Someone random cannot make decisions on behalf of the Panth,” Bhai Mohkam Singh said during a radio interview with Bibi Manjit Kaur on Radio Voice of Khalsa. 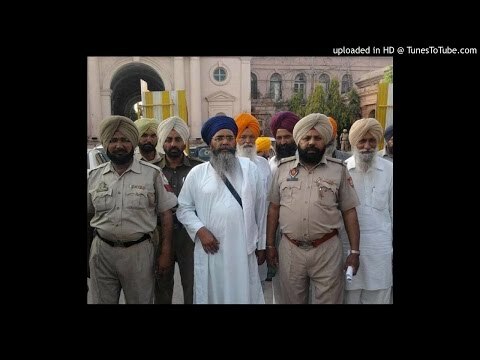 Meanwhile, the Punjab Government has started releasing Sikh leaders. 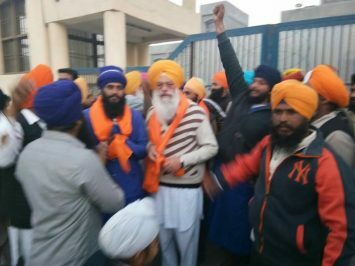 General Secretary of United Akali Dal Bhai Gurdeep Singh Bathinda was released from Bathinda’s Central Jail on December 10 following the discharge of case by the District Administration. Notably, S. Bathinda was arrested by the Police following the initiation of Sri Akhand Path Sahib at the venue of Sarbat Khalsa 2016 in Talwandi Sabo. S. Bathinda was released from Jail at 6 pm on December 9 after the Administration discharged case against him. Local Sikh activists received him outside the jail on this occasion. Another Sikh activist named Gursharan Singh Sohal has remained in police custody.